Our 25mm personalised sew in clothes name labels are a true alternative to traditional woven name labels which offer a limited amount of personalisation options, sizes and can irritate the wearer's skin. Instead, our name labels are manufactured by us using a bespoke in-house developed production process here at our Cambridge UK facility, and this means we can offer a wide range of personalisation options including print colours, motifs, multiple text lines upto 4 and the rear compared with one side and two lines with our 10mm alternative and much more. 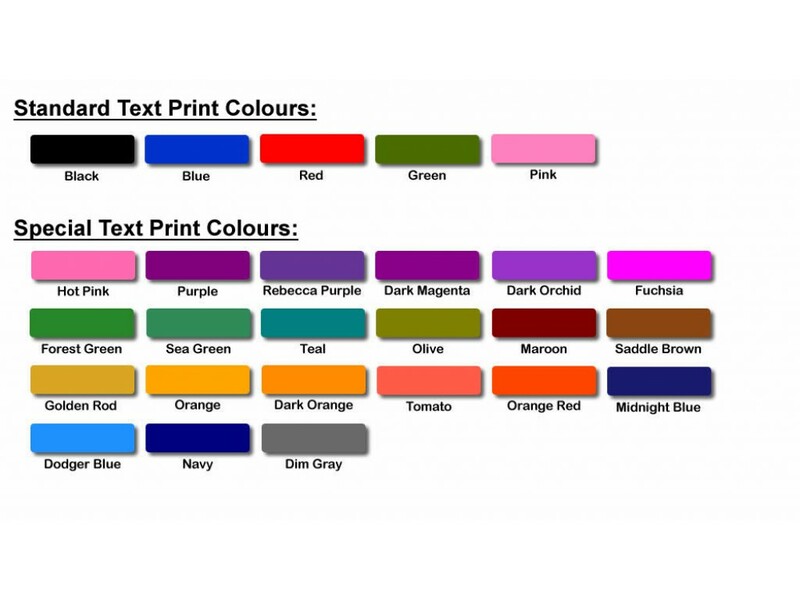 In fact, we can even print in full colour (including logos and photos if required).